David Eliza (1984) is a producer from Nijmegen who originally started his musical career as an MC. Due to a lack of proper instrumentals, David started to produce his own tunes which resulted in him trading the mic for the decks. After signing with the Amsterdam based Dubstep label Oi! 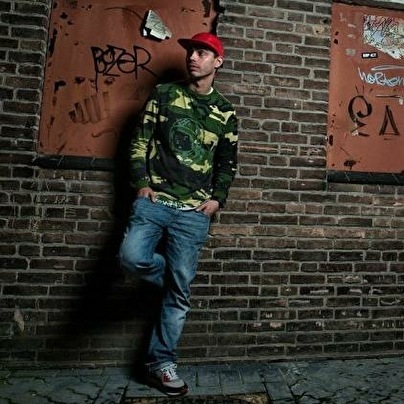 In 2011 David Eliza released two EP's under his aka "AYA" that brought him to various venues across The Netherlands such as the Melkweg & Paradiso in Amsterdam and festivals such as Dancevalley, Solar, Paaspop and FreeYourMind. Along this journey David developed his interest outside of the Dubstep scene into other genre's resulting in his current work on different projects ranging from UK Garage &Deep House to Future Bass and many more inspiring genres. David Eliza aims to keep the people entertained while experimenting with a wide range of different sounds. He knows how to turn up the crowd and keeps his live performances on point. Either for an exclusive UK Garage/ Deep House set or a more various performance of different styles, David Eliza makes sure everybody gets involved into his experience of good music.